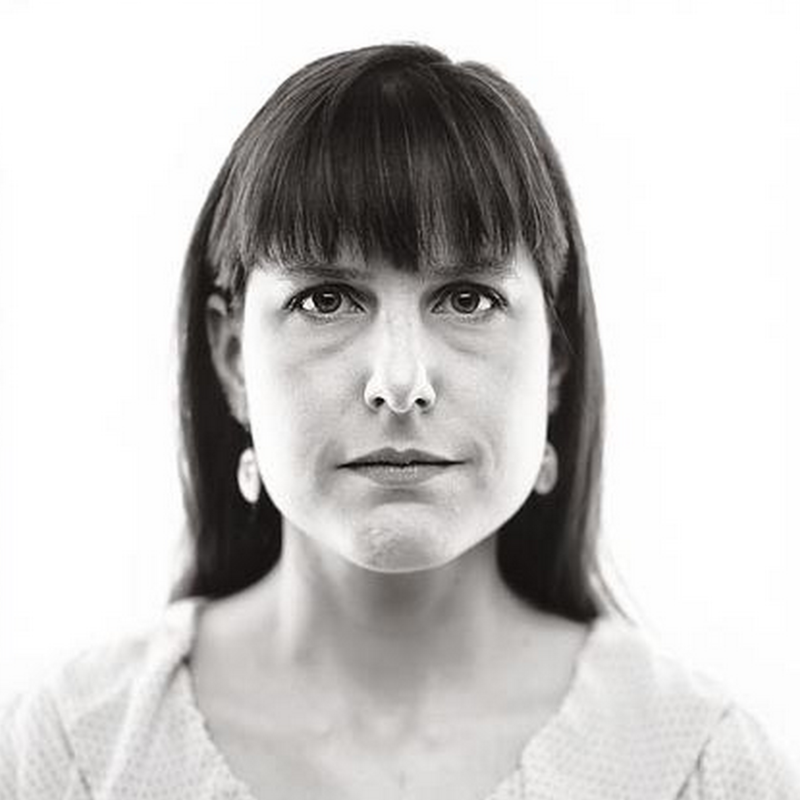 After all these years, you’d think notorious pro-abortion demagogue Amanda Marcotte would have covered just about every conceivable way to expose herself as an extremist who under no circumstances should be taken seriously. 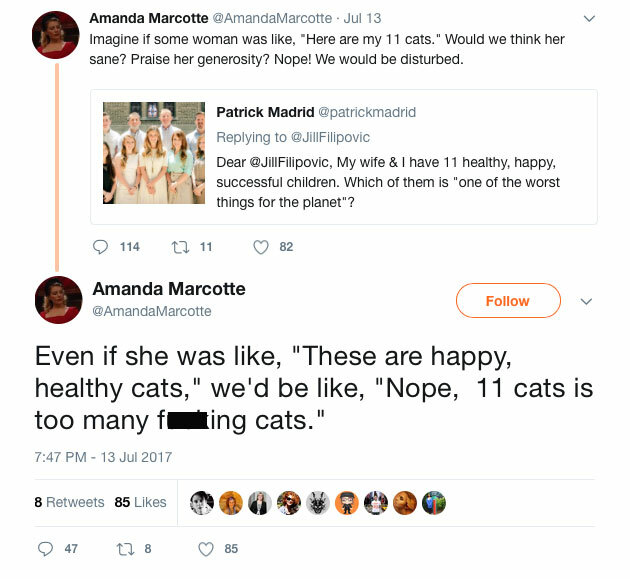 However, Marcotte does have one special talent that should never be doubted: the consistent, proven ability to outdo herself. Cats have never helped another human being. They’ve never invented a life-saving medicine. They’ve never produced art, music or comedy. According to researchers at Georgia Regents University and Cape Fear Community College, 40 percent of participants in a poll stated they would save their dog rather than a foreign stranger. In San Francisco, 16.8 percent of the population has a cat, 25.4 percent have a dog, and just 18.7 percent have a child; in Seattle, those numbers are 29.5 percent, 25.2 percent, and 19.7 percent. The preference for pets over children is growing among Leftists, not declining. How could they not? This is simply the natural extension of the pro-abortion position’s core premise: that human life is neither unique nor particularly valuable. But while Marcotte’s tweets aren’t particularly surprising in that respect, by applying it to a born, grown family, she does helpfully undermine another pro-abortion lie: that they see some fundamental difference in preborn life that makes extinguishing it okay. Thanks, Amanda! As for the other component, the idea that it’s somehow “radically irresponsible” to have more than 1-4 kids has long been a viewpoint deeply embedded within the abortion movement, but which they usually prefer not be advertised all that much beyond the fringes. Taken in isolation, it’s staggeringly arrogant to assume parents who have large numbers of children are automatically incapable of handling it and are somehow doing a disservice to their first couple kids. Of course, usually such concerns are nothing more than a front for the population control agenda and the interests of its economic, environmental, and (in Planned Parenthood’s case) eugenics-minded adopters. In practice, having too few children has proven to be the West’s real problem. Abortion advocates in particular may have additional reasons for naturally gravitating toward population control. With many aggressively secular and bitterly prejudiced against anything that smacks of religion, it’s predictable that they’d have a visceral reaction to families that interpret the Bible’s command to “be fruitful and multiply” to the maximum. The pro-abortion mind may also associate large families with stay-at-home motherhood—which is anathema to their brand of feminism. However, while all of this is perfectly consistent with the abortion lobby’s real values, it’s utterly incompatible with the value they put at the forefront of their marketing: choice. Supposedly the whole reason abortion must remain legal is because a woman’s reproductive choices are hers alone to decide. Only she can possibly know which answers to “whether,” “when,” “why,” or “how many” are correct for life and her future, so the rest of us have no place questioning her judgment. So, if that’s the case, then where does Marcotte get off questioning the reproductive choices of these women? Why is the delay or rejection of motherhood sacrosanct, but large-scale of embrace of it “insane” and “disturbing”? The only possible explanation is that Amanda Marcotte and her fellow travelers, for all their op-eds and bumper stickers and advertising and picket signs, were never really “pro-choice” after all; they’re pro-abortion. Editor’s Note: All op-eds are the opinion of the writer, and not necessarily the official position of Live Action.